Get a 50% matched deposit bonus up to £100 when you visit via My Betting Sites. Terms and Conditions: New customers only. Expires 31/05/19. Valid once per customer. Bonus expires after 30 days. 7x turnover at 1.6 minimum odds. Full T&C Apply. New customers can get up to a £100 bonus when they register with SportNation. This is a 50% matched deposit bonus. 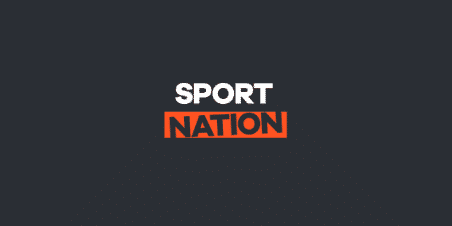 When Do You Enter the SportNation Promo Code? You do not require a code to get this offer when registering. You will register on the SportNation website with a code, and it’s only when you make your first deposit will you need one. You must input the code into the ‘bonus code’ field when making the qualifying deposit into your sportsbook cash account. Do You Need the Promo Code? Unless you use the deposit promo code, you will not receive the bonus. SportNation is one of the newer betting sites so it’s unlikely a lot of people will have an account when compared to one of the more established bookmakers. Rewards – One really unique aspect of SportNation is their rewards programme. Rather than making a number of free bets per week on select sports and earning a free bet, you have the opportunity to earn points. The amount of points you earn per bet depends on the type of bet, but it is available for both sportsbook and casino. Those points can be turned into free bets, but also electronics. The New Customer Deposit Offer – SportNation has a fair welcome offer for new customers. As we previously stated, because not a lot of people already have an account there are lots of punters that can take advantage of this bonus. Offers for Existing Customers– We’ve only been tracking the existing customers from November, but they have a couple. As time goes on, we’ll get a better understanding of how they fare versus other bookmakers. For more bonus codes available via our betting promo codes page.